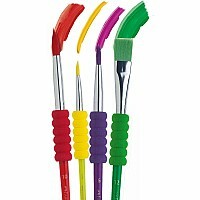 - Set contains 4 paint brushes in sizes 2, 6, 10 and 12 - one for every art project! 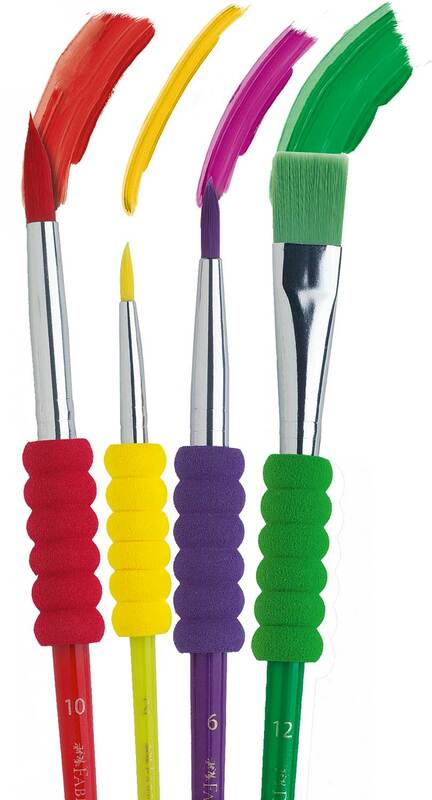 Soft grip zones are comfortable for little hands and brushes clean-up with soapy water - Perfect with Faber-Castell Tempera and Watercolor Paints, Watercolor Pencils and Gel Sticks! 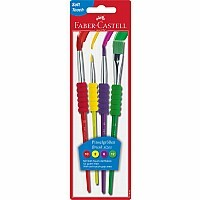 Measures approximately: 3.13 x 0.50 x 10.00 inches..